Crayon Box will give participants a chance to write their own graphic scores, see them projected in real time, and perform/listen a trio play their piece. The Crayon Box station will be complete with two digital tablets where participants can make their own graphic score based on a color – violet, blue, green, red, yellow, orange, black or brown. These digital scores will be displayed on a screen that will in front of the Dudley Café outdoor wall. A trio directed by Amanda Ekery and made up of voice, bass and sax will perform participants’ scores and a digital artist will be there to help visualize the scores. 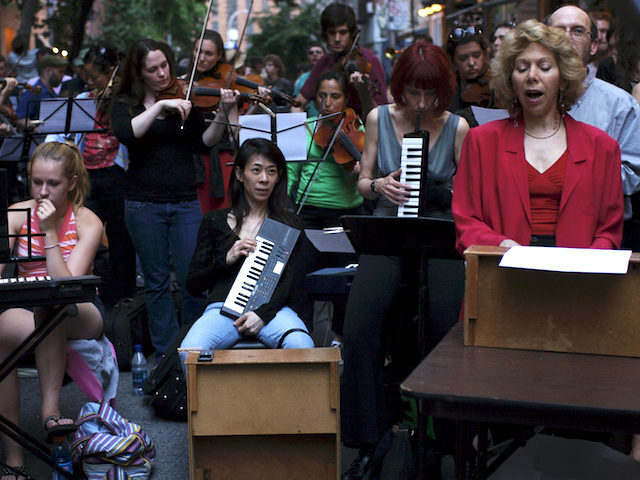 // This project engages the community to be a part of the music making and allows for one-on-one interaction between performers and listeners.